Directioners around the world are in tears right now after The Sun's report broke on Sunday night, claiming that One Direction allegedly plans to take a hiatus from doing band-type things starting in March 2016 in order to pursue individual projects for a while. The band has yet to confirm any such thing, but the stages of grief that Directioners are already going through is incredibly familiar to other music fans. After all, who among us hasn't had to deal with the break up of our favorite pop bands, from the Spice Girls to *NSYNC? Heck, I survived Fall Out Boy's four year hiatus and lived to tell the tale, so believe me when I say that the Directioners will pull through this one. With a little help, that is. That being said, it's time to let the fandom know these tips on how to survive the rumored One Direction hiatus. Right now, the wound is still fresh, and it's incredibly tempting to call in sick to work or to school and just curl into a little ball beneath your blankets in your dark room and question everything good and right in this world. Again, I know. I've been there. But the rumors have been using the word "hiatus" rather than the term "breakup," and I think that's cause to be very optimistic here. After all, the band has gone through some tough changes very rapidly in the last few months that they need some time to deal with. 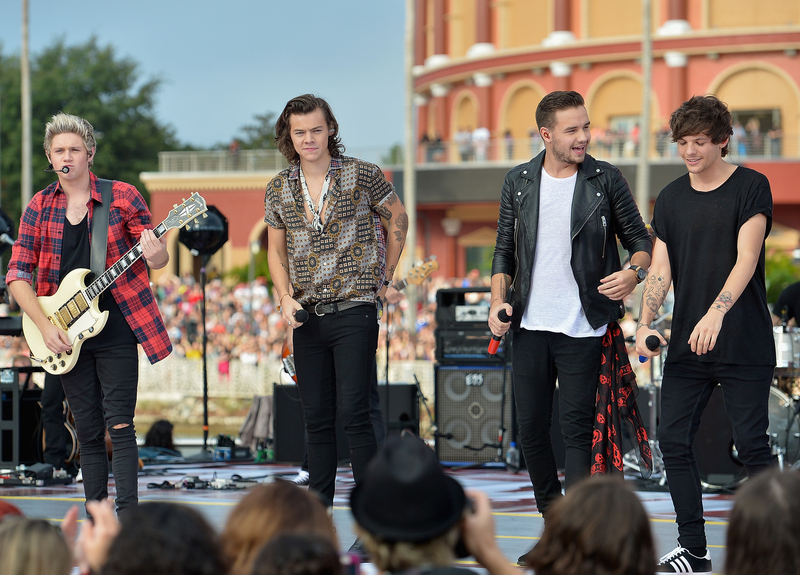 Being on tour when Zayn Malik decides to leave One Direction is one of those things. So sit back, relax, hold the hand of a friend, and check out these tips and tricks on how to survive what only seems like the worst moment of your life. Listen to only one of their songs every three months. Start with their first album and work your way out to their fifth. Actually, start with the songs they performed individually and together on The X Factor, and then work your way out to their fifth album. Then you have even more music to tide you over until their triumphant return. According to the report in The Sun, this One Direction hiatus is going to come when they should be going on tour to promote their fifth album. Since they won't be doing that, you should do it for them. Host listening parties. Help make each of the song titles trending topics on Twitter. Make t-shirts. Support the band the same way you have all of these years, so they know you'll wait for them forever. Tip #5: Cry. No, Seriously, Cry. It'll make you feel better. And there's no time limit on that. Whether it's been one month or six years, there is no time at which it is unacceptable to start crying over the demise of your favorite band. One Direction has changed lives. It's always OK to miss them. The temptation might be strong to boycott anything they put out as solo artists so that their careers will tank, and they'll have no choice but to return to the band. However, that kind of discouragement might cause them to quit music completely, thinking they don't actually bring anything to the band's table. And, also, it's just mean. Real fans support the band and the band members no matter what, right? Malik's departure from One Direction has split the fandom into those that support One Direction, those that support Malik, and those that support One Direction as it was with Malik in it. Let's cut all that out, and embrace Malik like a brother, because the band has no hard feelings, and neither should we. And, hey. Maybe he'll come back one day, too. Dream big, guys. You need someone to listen to until this hiatus business is over with. Might I suggest 5SOS? People make the comparison all the time, so you might as well check them out. Above all, no matter where the guys go or what the guys decide to do, keep reminding them of the loyal fan base they've built from their years as One Direction. You want to make sure that, when and if they decide to reunite as a band, it feels like coming home to large community of people who love them, rather than a large community of people holding torches and pitchforks because they broke up. Band hiatuses are hard to deal with. Every day until Fall Out Boy got back together was a nightmare for me, so I sympathize very deeply with the One Direction fandom. While we wait for the band to release a statement, keep these tips in the back of your mind and prepare for the long haul. Bands just love to toy with our heart strings.